I was wondering if you know an app to use the cheap chinese readers with android. 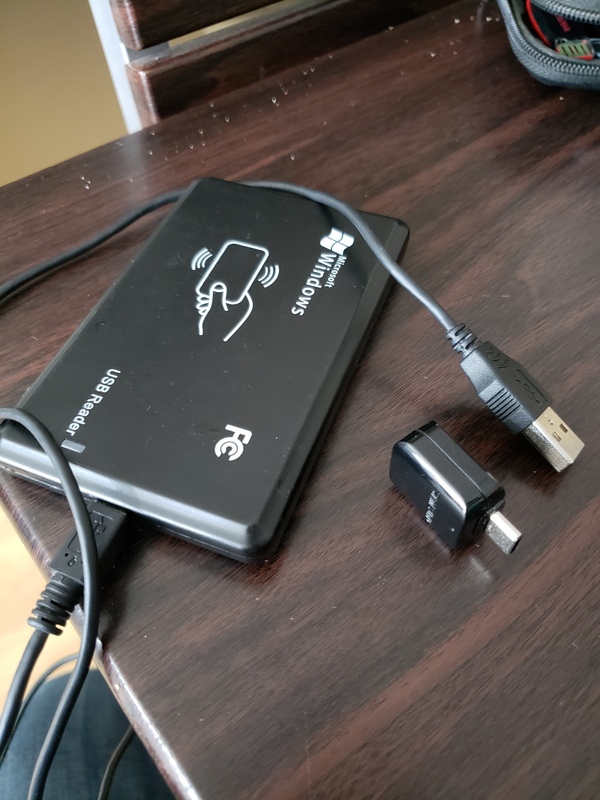 Im using de usb c to usb a to connect the reader. These readers are usually HID devices (Human Interface Device, not HID access cards). In other words, they mount to the system as a keyboard. Not all Android devices have the drivers for a keyboard. I tried with my S7 and a USB OTG adapter and a regular keyboard worked, but a reader similar to yours did not. It powered up but did not mount as a keyboard in android so even though it would read cards, it did not output any characters. Not sure why but I’m guessing it has to do with the Android HID driver.